It has been an intense week for buffalo. Buffalo Field Campaign (BFC) volunteers are out in the field and on the road with the buffalo nearly 24 hours a day. If you are able to join us on the front lines, please see our call for volunteers below. The buffalo and BFC need you! Near Gardiner, along Yellowstone's north boundary, National Park Service and Department of Livestock agents have been actively hazing various groups of buffalo. Multiple management actions aimed to appease cattle interests have been taking place within this enormous wildlife migration corridor. So far, there have been no buffalo captured. Yesterday, four bulls were hazed back to Yellowstone, and again today, Park Rangers hazed 32 buffalo to just outside the Roosevelt Arch. Other groups of buffalo are around the Gardiner area, including some in town. On the western boundary, a few bull bison were hazed back into Yellowstone National Park earlier this week by Montana Department of Livestock (DOL) agents. The buffalo's "crime" was in stepping onto the private land of the Koelzer family, who allows the DOL to operate the Duck Creek bison trap on their property. Like so many other obstacles the buffalo must face, the Koelzer property and other houses with fenced in yards block a migration route favored especially by bull bison. There has been a large bachelor group of bull bison roaming the area near Duck and Cougar Creeks, along Highways 191 and 287 this week; they are massive and incredibly impressive. BFC has been with these bulls every day and through the nights, warning traffic of their presence. Buffalo have no qualms about walking right down the middle of the road, sometimes side by side in numbers, taking the highway over. It's a beautiful sight; this is their land and they are happy to remind us of it. Numerous travelers can't help but pull over in admiration; being in the presence of North America's largest land mammals is truly an awesome experience. It is shameful and sad that these magnificent creatures who have been around for over 10,000 years are forced to abandon their ancient practices, and unwillingly yield to the selfish wishes of Montana's cattle industry. So far, other than the challenges of fences and traffic, these bulls have been left alone, but we don't trust that the DOL will leave them in peace for long. Along the south side of the Madison River, the DOL, National Park Service, Montana Fish Wildlife & Parks, and U.S. Forest Service, with aid from Gallatin County law enforcement, have been hazing buffalo in earnest, all week. According to the new adaptive changes to the IBMP, 30 buffalo are allowed to be in this area, but they only have a few miles of ground where they are "tolerated." These tolerance zones are meaningless to buffalo who know no man-made borders. They continued their migration and agents began to haze them when they approached private property owned by someone who does not like bison, about a mile from Idaho's border. View BFC's footage here. The panting and terrified buffalo were run by agents on snowmobiles and in trucks down busy Highway 20, through barbed wire fences and deep snow, before losing them in the thick forests along the Madison River. This area is always a challenge for the agents; the woods are wide and thick and the clever buffalo lose the agents every time. So today the DOL brought out their ATVs and helicopter and proceeded to disrupt the ecosystem. Approximately 29 buffalo, including many pregnant mamas, fled through the forest to escape the thumping blades of the chopper. In the course of the haze, the DOL apparently scared up two grizzly bears, who were disrupted by the pounding helicopter and yelling agents. Hazing operations harm not only buffalo, but all of the creatures who live in this ecosystem including wolves, moose, elk, Sand Hill cranes, bald and golden eagles, fox, badgers, and more. Bison continue to make their way in and out of the Park, to and from Horse Butte and surrounding areas, having to cross Highway 191 to access critical habitat. We are continuously out on the roads, putting up our hot pink warning signs, and helping prevent bison/vehicle collisions. 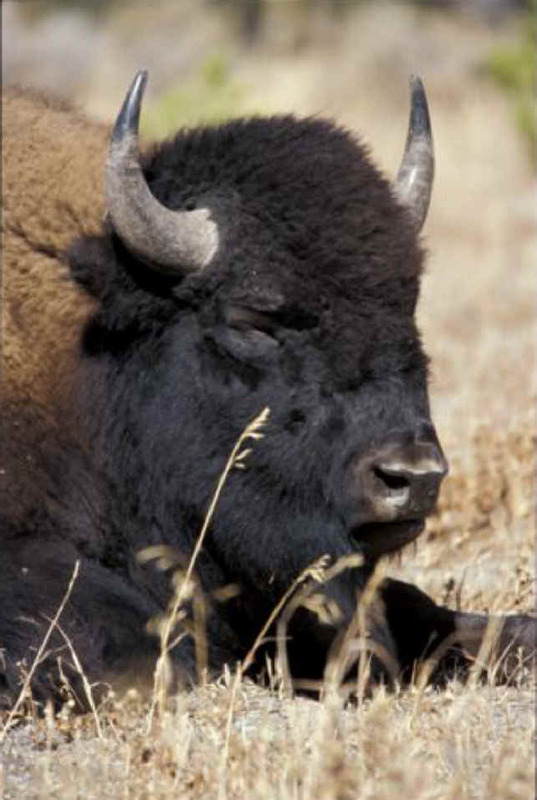 We are pleased to report that there have been no more bison highway mortalities. Unfortunately, one of our "Buffalo Crossing" signs was vandalized by an unknown antagonist. We are making attempts to fix it, but we may need to purchase a new one. We expect that agents will be out harassing buffalo full time, through the end of May or even beyond. Even though there is not a cow in sight, and there has never been a case of wild bison transmitting brucellosis to them anyway. 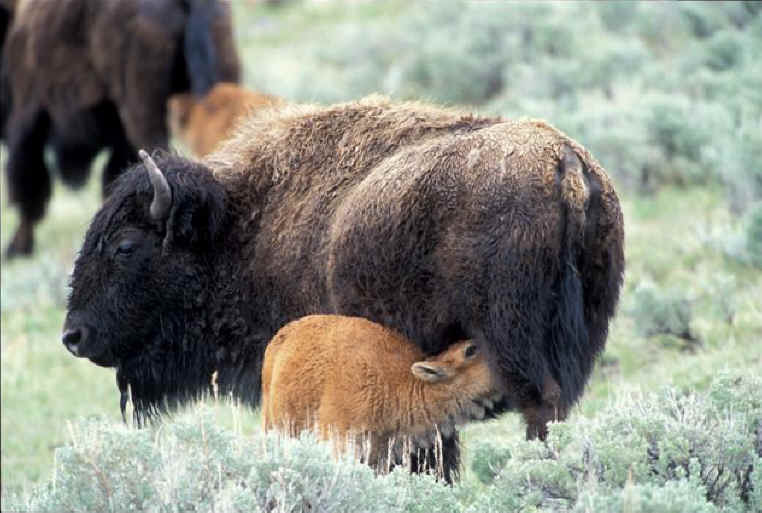 The mismanagement of America's last wild population of bison must end. Please, if you have not already done so, contact President Barack Obama and urge him to take positive action for these gentle grazers who can heal the wounded land. BFC Needs You on the Front Lines! Buffalo Field Campaign is looking for volunteers to join us on the front lines now. Buffalo migration is in full swing and our shaggy friends are everywhere, keeping us busy nearly 24 hours a day. BFC provides room, board, training, and gear; the ecosystem provides the magic and mystery. If you are interested, please contact Brock, our email our volunteer coordinator or call 406-646-0070. We are also looking for summer volunteers to help us with outreach in Yellowstone and Grand Teton National Parks. Talking to park visitors who are in the company of the buffalo we are trying to protect is a great way to raise awareness and make more friends for the buffalo. If you would like to spend some or all of your summer with BFC, please contact Mike at or call 406-646-0070.